Who’s hungry? It’s Steak Night! 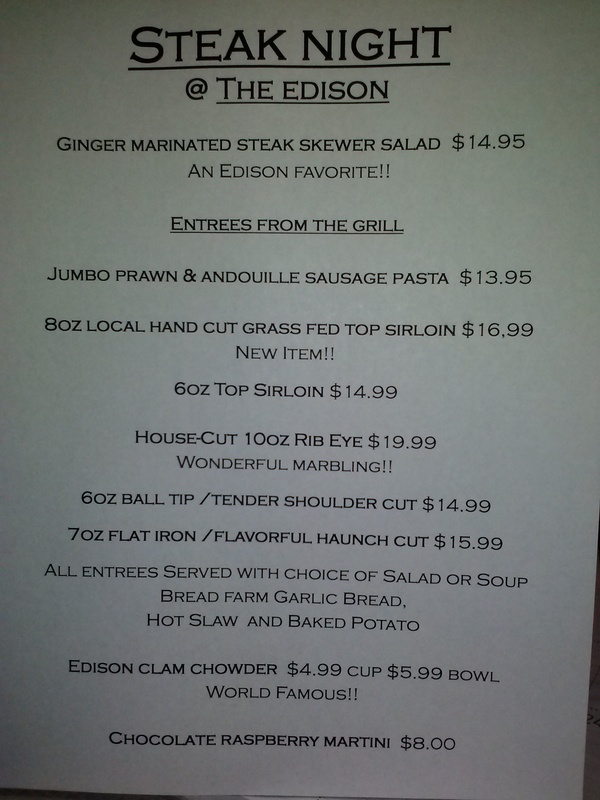 It’s stormy but warm inside The Old Edison!